How many times did you wish to just open your bag and pull out a bottle of wine that could make the difficulties of the day seem brighter? Probably many times. But what would you think about being able to carry not one, but two bottles of wine in your purse in such a discreet way that nobody knows they are there? And even more, how would you feel about being able to pour yourself a glass of the tasty beverage without taking the bottle out? If you just love the relaxing effect of the alcohol and the euphoria caused by a good drink, then the wine hidden in your purse can be of great help. Especially when you have to deal with heavy situations or endure a long trip… not to mention those boring ceremonies or family gathering that seem to never end. Strolling around with the wine in your purse is possible today thanks to a stylish and elegant purse that is able to discretely hold your delicious beverage… and that allows you to access it without even touching the bottle. 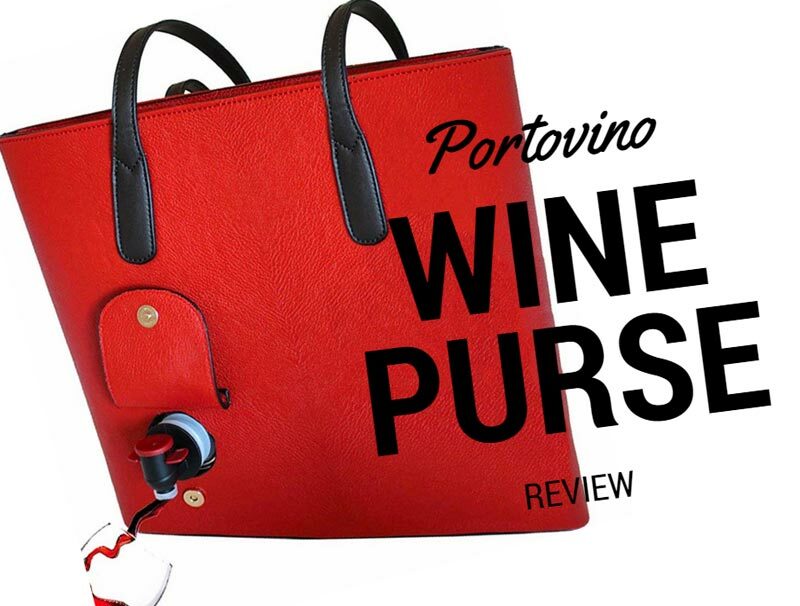 Its name is PortoVino Wine Purse and everybody is speaking about it. Let’s see why it is so special and why you should have one. What Is PortoVino Wine Purse? Without a doubt, the first thing to consider before buying a wine purse is if you need a wine purse at all. Depending on your lifestyle, this type of purse can be of a great help or completely useless. 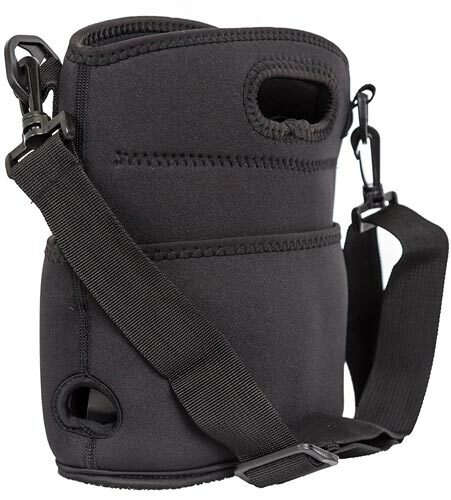 There is to say, however, that a wine purse, although it is designed specifically for wine, can hold any type of drink, that can vary from water to alcoholic and non-alcoholic beverages. The characteristic of a wine purse is the possibility to keep the drink fresh while on the go, a useful thing when you have to travel during the hot summer months or if you need to keep your baby’s beverage fresh while attending a formal ceremony where an elegant purse is required. Another thing to consider is what type of wine purse you need. On the market, there are available various types of purses designed specifically to hold wine. Some of them are simple insulated tote bags that can accommodate one or two bottles. These purses are usually compact and fashionable and they are great to camouflage the drink while on the go. However, to actually drink the wine you will have to take the bottle out and pour yourself a glass. If you are attending a wine and cheese party and want to bring a few bottles, another type of wine bags are designed specifically for carrying two or more bottles. These bags are usually bulky and in many cases, there is nothing fashionable about them, but they are convenient and do their job extremely well. On the other side, if you want a purse that can hold your wine, keep it fresh and let you discreetly access the liquor while keeping a low profile, then a wine dispenser purse will certainly be the answer to your needs. Manufactured by Bella Vita, PortoVino Wine Purse, as its name suggests, is a purse that carries the wine. This stylish purse looks just like an elegant shoulder bag from the outside and there is nothing unusual about it at a first glance. But at a closer look, you might notice a little flap on the bottom corner of the purse, and that’s where the magic happens. If you open that flap you’ll discover a little tap hidden in the interior of the purse, that can be drawn out and used to dispense wine from the purse directly into a glass. Designed to be practical both for wine carrying and for accommodating your feminine essentials, this purse is spacious and provided with a special zip pocket that is insulated and that can accommodate a 1,5l pouch. In other words, you can easily fit in your purse two bottles of wine and keep them at serving temperature while carrying on with your daily chores. And then, you can just stop and pour yourself a glass whenever you are thirsty, or whenever you feel that life is unfair and you need a drink. We have to say it! This purse is awesome! Anyway, it is advisable to check the open container laws in your area before investing in it. Stylish purse suitable for everyday use. Large compartment with two interior pockets to hold your essentials. Insulated compartment for the wine. Wine dispenser with a hidden tap. It can be used to hold and dispense any liquids, not only wine. Considering the weight of the wine, we would have loved this purse even more if it would have had a cross-body strap. The purse has a discreet flap on the bottom corner that gives access to a hidden tap that can be pulled out and use to dispense wine directly into the glass. To carry your wine and maintain it at the serving temperature, PortoVino Wine Purse has an interior compartment that is insulated and secured with a zipper. 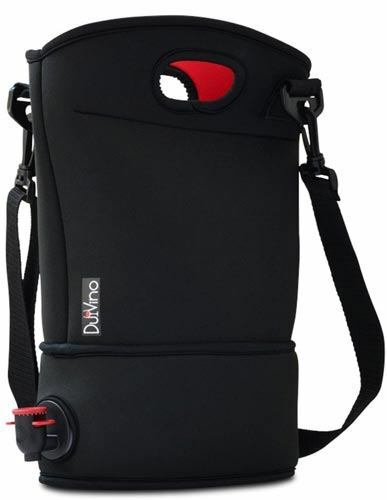 The pocket is large enough to accommodate a 1,5-liter pouch that can hold the equivalent of two bottles of wine. The pouch is included in the purse and has a flattened shape, therefore it will occupy a little space in the purse. 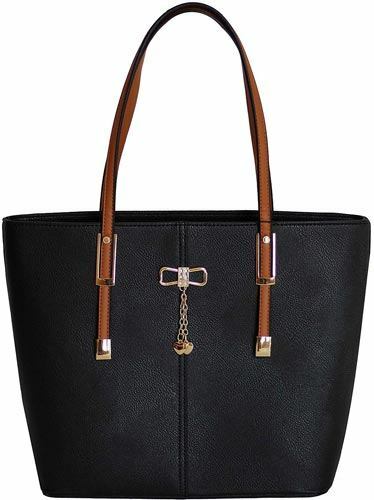 From the outside, with the exception of the flap, the purse has a stylish and elegant look. Suitable to wear at any type of occasion, that range from business to leisure purposes, the purse boasts a large interior compartment with two small pockets designed to keep your essentials within easy reach. Apart from this, the purse comes in three attractive colors, black, dark blue, and red. If you want a less formal purse, for instance, a beach bag, Bella Vita proposes a line of PortoVino beach purses that are stylish, fashionable, and perfect to carry while you’re hanging out with friends or when you’re invited to a beach party. PortoVino Wine Purse is loved by almost everyone. Many women consider it stylish and useful, without even considering the wine compartment, therefore you can consider this purse even if you don’t care so much about the wine dispensing feature. On the other hand, users are simply thrilled by the wine compartment that has a large capacity. The purse comes with a pouch, and other pouches can be purchased separately, therefore you will be able to carry even more wine with you. The only flaws reported regarded the lack of a cross-body strap, as the weight of the purse can sometimes be too high for a shoulder purse. PortoVino is great, but if you don’t like the style there are some alternatives to consider. If you are a sporty type and need a wine purse to fit with your active lifestyle, the Original Turkey Vulture Wine Bag might be the right purse for you. The bag is made of Neoprene and has a sporty design. The best thing about it is that it comes with a cross-body strap. Both purses have a 1,5-liter capacity and they both come with a wine dispenser tap. The Original Turkey Vulture comes with a silicone glass, a nice addition for a wine dispensing bag. PortoVino is elegant and suitable for many occasions, while Original Turkey is more suitable for leisure activities. C﻿lick here to find out more about this purse. Another sporty wine purse to consider if PortoVino is not your style is the DuVino wine tote purse, a beautiful black bag that comes with two wine pouches for a total capacity of 3 liters (or four bottles of wine). DuVino purse is made of neoprene, it can be washed in the washing machine and it is comfortable to carry either in your hand or cross-body. This wine purse is available in two colors, either as black with a red interior or red with black interior. DuVino comes with two wine pouches that can hold twice as much wine compared to PortoVino. The styles of the purses address two different types of users. DuVino is easy to clean as it is machine washable. A colorful alternative suitable especially for leisure purposes, the Kali Swankey Beverage Tote comes in three different finishes and it has a capacity of 5 liters. Apart from this, the tote is large enough to hold all your essentials. The Kali Swankey tote is made of colored canvas and has the wine compartment located at the bottom. A false bottom keeps the wine hidden away from the curious eyes and also cool, in its insulated compartment. Kali Swankey can hold 5 liters of wine, but the purse can become too heavy. Both bags are shoulder bags, the PortoVino being much easy to carry. 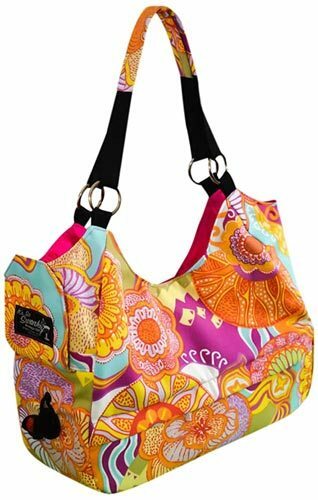 Kali Swankey is more spacious than PortoVino and is perfect as a beach bag. PortoVino is a great purse. We love its hidden wine pocket and the discreet dispenser. We love its style and the fact that it can be matched with both formal and casual outfits. In our opinion, unless you travel by plane every day, this purse could be a splendid addition to your collection!